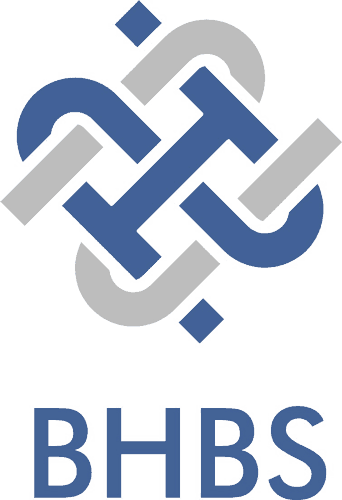 New Provider Registration Process offered by Behavioral Health Billing Solutions, LLC. Important details about the changes and new service offering are listed below. 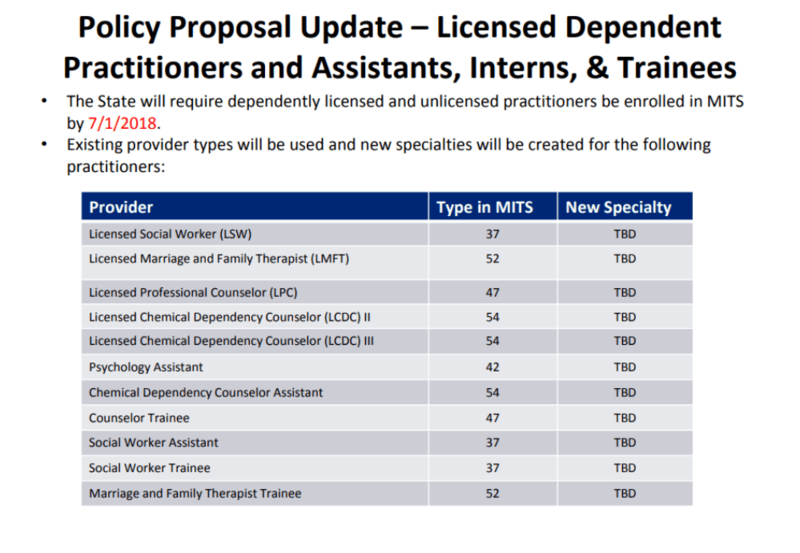 Most Behavioral Health providers in Ohio are aware of recent policy proposals made by ODM and the state requiring us to register ALL provider types with Medicaid by July 1st, 2018. The recommendation they are making is to start TODAY to obtain NPI’s for all providers. 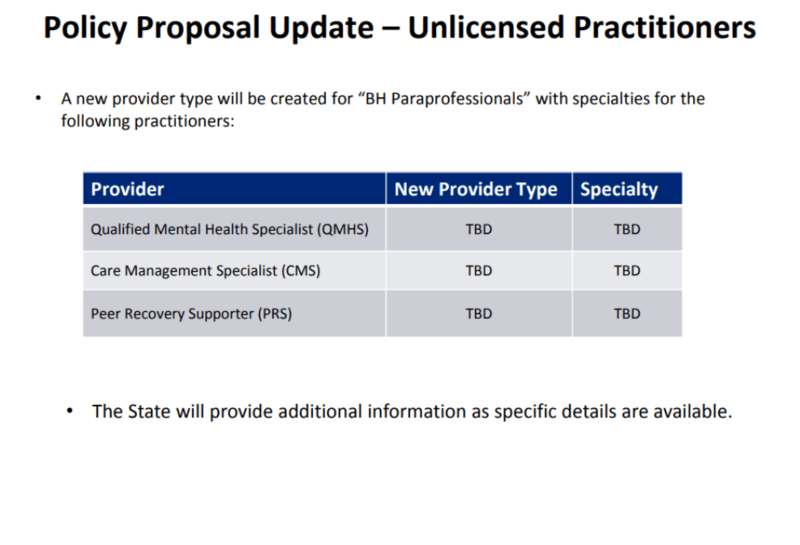 See below for the provider types that are impacted by this proposal. Depending on your agency size, this task can represent quite an undertaking, particularly due to the specific criteria required for each provider registration. For instance, the requirements of the contact information, how the W-9 information is completed, and the affiliation process that needs to occur connecting each provider to your Medicaid NPI. As the state information unfolds, we will have more specifics as to the timing, specialty type and when Medicaid registration will open. However, with that said, there is a significant amount of work to be done today. Behavioral Health Billing Solutions, LLC is offering a service package that takes care of every step in the registration process for Behavioral Health agencies. IF you want to ensure that your providers are registered CORRECTLY the first time and meet the July 1st, 2018 deadline, contact us today to hear about our new service, which will be offered at a per provider rate. Contact Behavioral Health Billing Solutions TODAY to get your agency scheduled for this vital service. Availability is limited so be sure to call 614-395-0136 or email teresaheim@bhbillingsolutions.com for service details. We look forward to assisting you meet these upcoming challenges .